and anti-militarism in the German Social Democratic Party. Although she welcomed the Russian Revolution, she was a committed revolutionary democrat and strongly criticized the dictatorial policies of the Bolsheviks. Rosa Luxemburg lived with many apparent disadvantages of both birth and fate and was often persecuted for them. She was Jewish and, although not religious, was not immune to anti-Semitic attacks. Furthermore, she lived her life as an exile. Despite gaining German citizenship she remained, in the eyes of her enemies, a foreign Polish woman. These several forms of discrimination didn´t hinder her to live a forceful, independent life, defying the conservative norms of her time. After achieving a doctorate at a time when few women even studied, she became one of the few women active in politics. Luxemburg lived with her partner without marrying him. Rosa Luxemburg’s fate is inextricably linked to the development of the German labor movement, its internal struggles and its division. She was the co-founder of the Spartacus League and the German Communist Party. She powerfully expressed her beliefs. With warmth and an electrifying temperament she was able to inspire many to broaden their minds and to act with courage. Luxemburg today is also considered as one of the most important left theorists of her time, in particular through theory of imperialism in her book “Accumulation of capital” from 1913. 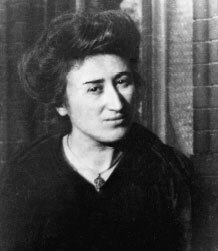 As a result of her strong anti-militarist engagement and her calls for a democratic socialist revolution in Germany after World War I, Rosa Luxemburg became a martyr of the German November Revolution. On 15 January 1919, she was murdered by right-wing soldiers in uniform. Rosa Luxemburg’s impressive struggle against the war and her insistence on the connection between political freedom and social equality has lost none of their appeal today. 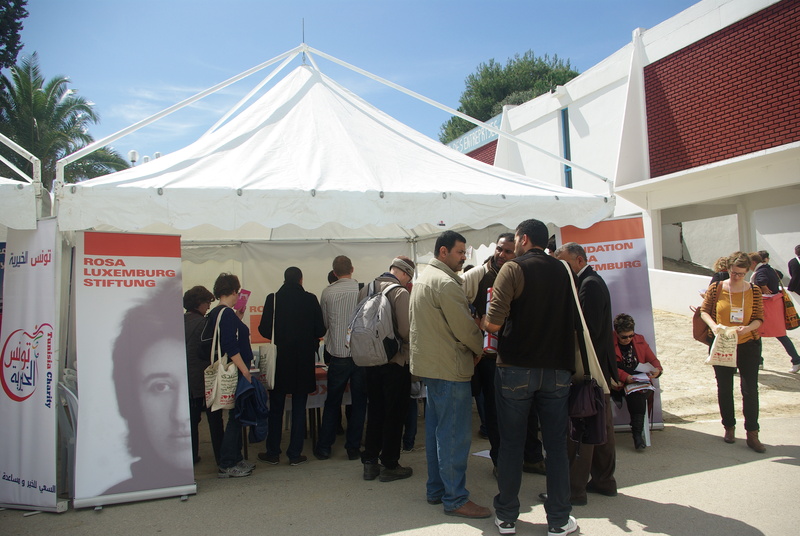 The Rosa Luxemburg Foundation continues this democratic socialist tradition. Erster Tag des ‚Climate Space’ beim WSF: Ein Klima der Poesie?